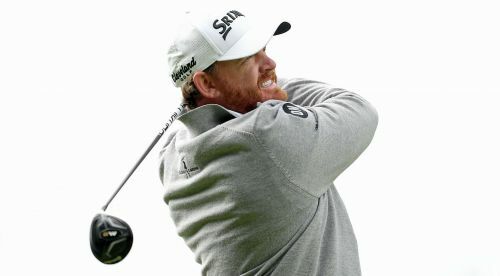 J.B. Holmes edged out Justin Thomas to win the Genesis Open by one shot after firing a one-under 70 in the final round on Sunday. Holmes and Thomas went toe to toe for the win, but the former secured his fifth PGA Tour victory, finishing at 14 under. A par save on the 13th hole moved Holmes into the lead and he finished his round with pars, which was enough to secure victory. Thomas, however, struggled as he carded two bogeys and one double bogey on the back nine. He posted a four-over 75 in the final round. The rain-affected Genesis Open did not see any more showers on Sunday but wind was a factor as players finished their third and fourth rounds at the Riviera Country Club in California. Rory McIlroy was in contention but struggled with the conditions. He carded three bogeys after the turn with just two birdies. A birdie and an eagle on the front nine helped McIlroy to a two-under 69. He finished the weekend in a tie for fourth place with Marc Leishman at 11 under. "It was really tough," McIlroy said after his round. "It's gusty. You know you're hitting the right club and then the wind will gust on you and it's a tough shot." Kim Si-woo finished his final round well before the final pairings and was able to find solace from the wind. He finished in third place at 12 under after firing off his best round of the tournament – a five-under 66. Tiger Woods did not have the finish he was hoping for after completing a six-under 65 third round earlier in the day. He had three birdies and two eagles to move into the top 10, but he struggled in the final round. "I got tired, I don't know if I'm the only one but I definitely felt it today," Woods said. He finished in tied for 15th place at six under.